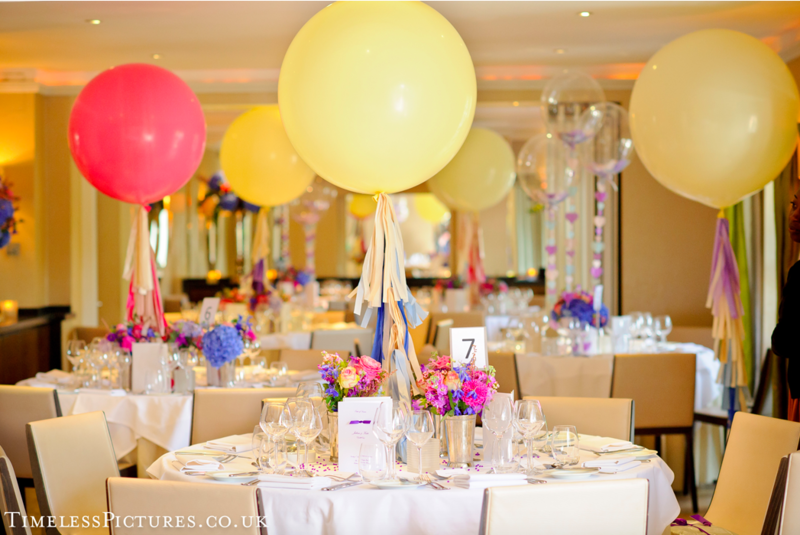 Using balloons for event decorations adds style and elegance. Be sure you hire a Certified Balloon Artist for professional decor. Working with a balloon decor professional will make your decorating task much easier! Balloon decor is affordable and can accommodate all budgets. However, we do have a minimum charge of $250. When you contact us, have an idea of how much of your celebration budget you’ve allocated for decor. The amount for a wedding or gala is between 5% to 10% of your event budget. This is how we determine how best to serve you and more importantly, for you to get to know us! People do business with people they know, like and trust! We are very confident that you’ll enjoy doing business with each one of us here at Volunteer Balloon Decor. It is imperative that as a balloon decor professional we meet with you at the venue to discuss your event and to assess the premises. Dimension, ceiling height, accessibility, flooring, etc., are important factors we must take into consideration to provide you with an accurate quote. Consequently, it’s essential for us to meet you, our potential client, face to face to establish a good relationship. We want you to feel comfortable about our proposal and trust that we can meet or even exceed your expectations. Rarely achieved if communications are limited to phone calls or email. Balloon centerpieces provide an inexpensive and stylish way to enhance your event decorations. We offer so many choices and options to brighten up your room. Balloon decor designs unique to your event! 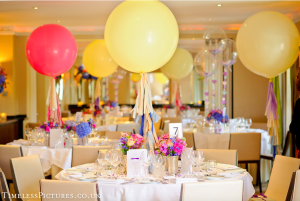 As a balloon decor professional we’re often given “carte blanche” to enhance a selected venue. We appreciate the vote of confidence – however if we’re expected to meet or exceed your expectations it’s important that they be established from the beginning. 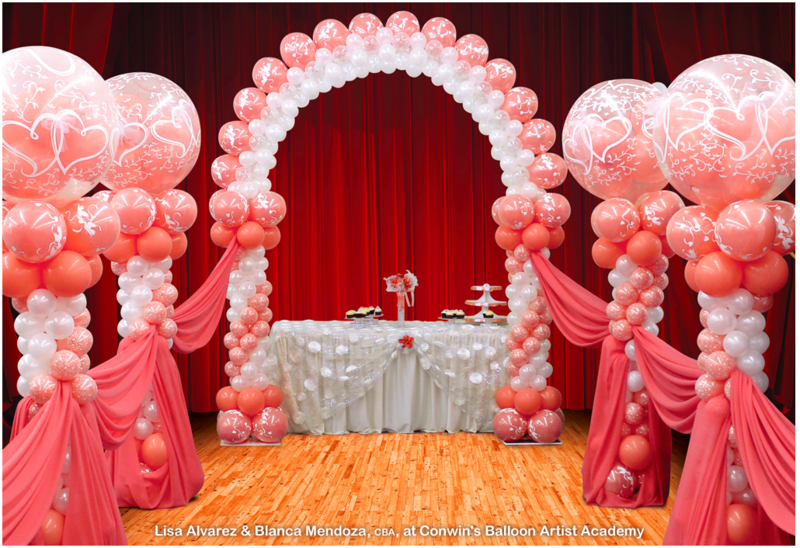 We often invite clients to visit Google Images and do a search using for example, the term “Balloon decor” followed by whatever the event is. There are millions of possibilities and options! We encourage our clients to send us links of the images of the decor that closely represent what they are considering. As a balloon decor professional we can make your dream event decorations come to life! After our initial consultation, expect all of our correspondence to be confirmed via email. We typically respond within the hour and can be reached at all times by phone (call or text message). Once we’ve both agreed on all aspects of our proposal, we will send you an invoice and a Contract Agreement that explains our services in full detail and payment terms. Our event decoration services are not confirmed until we receive a retainer fee equal to 50% of the total invoice. This deposit confirms your event on our calendar and gets the ball rolling. From that moment on, we will take care of your project as if it was our only project. We’ll be happy to discuss your needs and our services in greater detail to address any additional issues. Set up, tear down & clean up… you have enough to worry about! Customized balloon bouquets delivered – with a song & dance if that’s what you want! Call today (865) 567-4086 to schedule your free, no commitment consultation for your event decorations. We look forward to hearing from you.